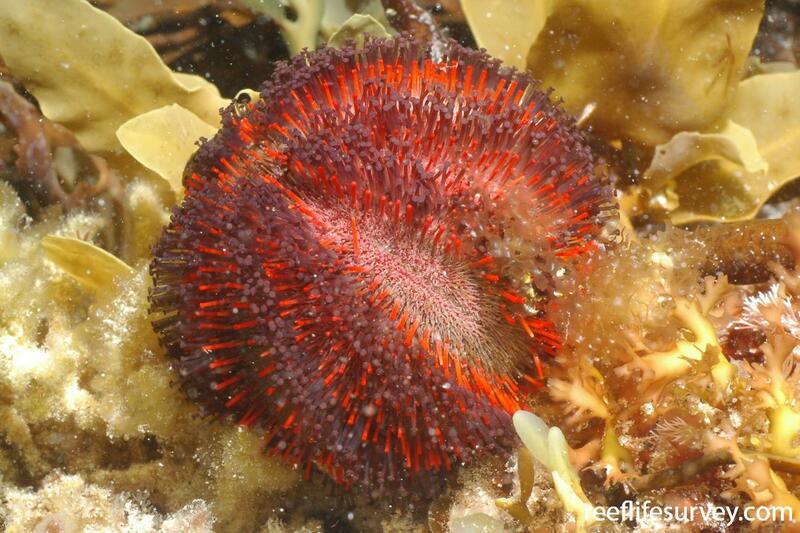 Common sea urchin that is rarely observed, because of its habit of living wrapped in macroalgal fronds, particularly those of Sargassum sp. 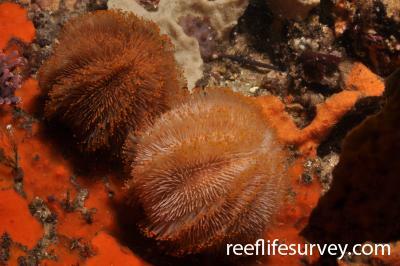 and Cystophora sp. While the primary spines are a vivid red at the tips (khaki at the base) and the tube feet are purple, this brilliant colouration rarely stands out against the host alga because of the lack of red light at depth.